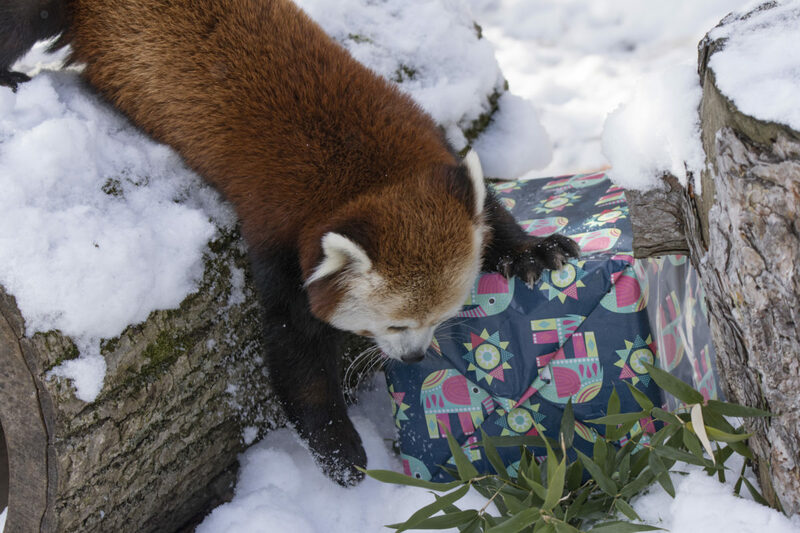 It’s also Christmas for the Red Pandas at Rosamond Gifford Zoo in Syracuse (N.Y.). 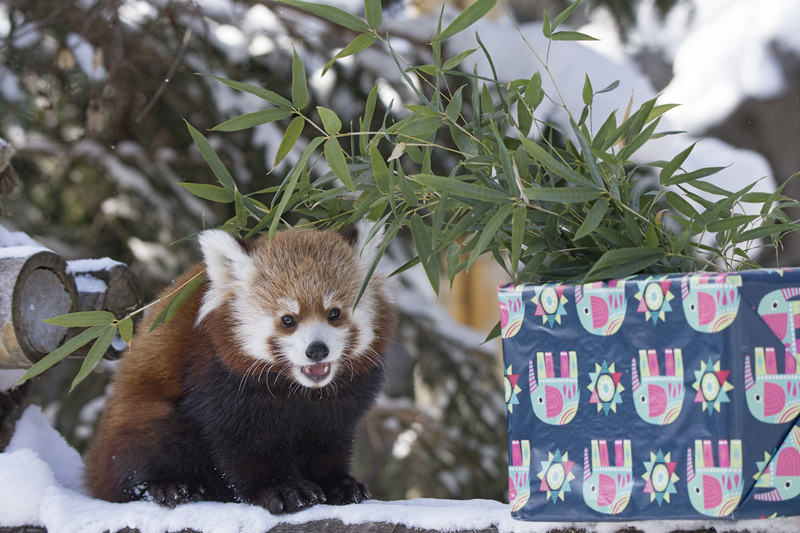 On Saturday, December 10, they got their holiday gifts and – of course – some tasty bamboo. A young Red Panda family lives at Rosamond Gifford Zoo. 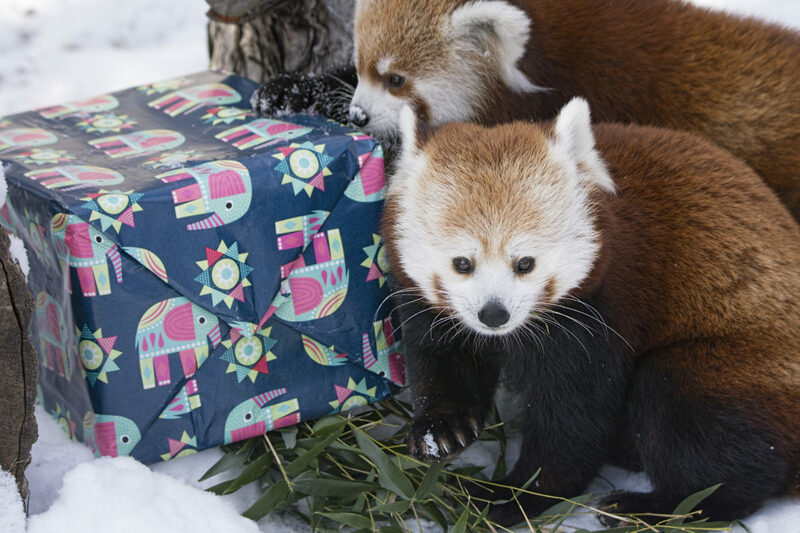 Tabei and Ketu are the parents of Amiya (“delight”) and Ravi (“king”) who were born in June.